Avoid Being a Victim of These Five Top Reported Cyber Scams Part 2 - Bank of Southern California N.A. 4. Advance Fee Loans and Credit Arrangers – These loans or credit are offered in exchange for an upfront fee. Realize that any reputable lender will ask you to provide your credit history before offering a loan, so do not provide any fees beforehand. 5. 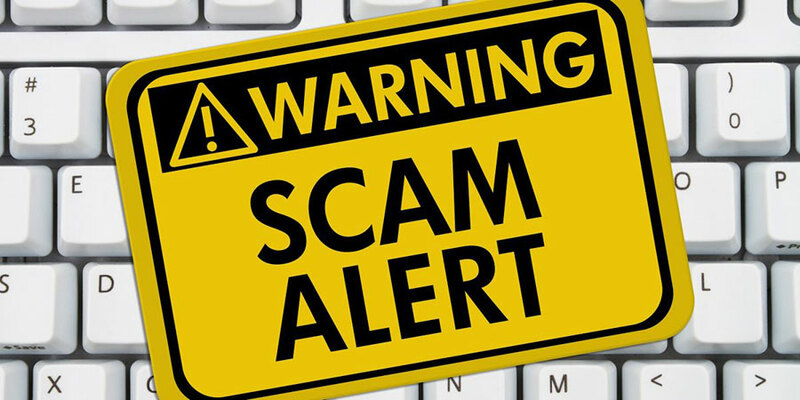 Phishing/ Spoofing Scams – An alleged business or organization might send you an e-mail or text message with a link or an attachment that when clicked on or downloaded will ask you to provide personal information or install malware onto your computer. Be wary of these sketchy links and/ or attachments as you do not want a cybercriminal obtaining access to your personal information. Keep a clean machine with an up-to-date security software, operating system, and web browser. Do not click on any links or open attachments unless you trust the source. Make your passwords long and unique, and use a different password for each account. Use a pop-up blocker because pop-up ads usually contain malware. Back up your data regularly in case your computer has any complications. Protect all devices that connect to the Internet from malware. Inform all your family members of these safety tips. Here is a helpful infographic by the National Cyber Security Alliance: https://staysafeonline.org/stay-safe-online/resources/5-top-reported-cyber-scams-infographic. With the increased number of hackers and threats in today’s world, individuals and businesses are always at risk of identity theft and cybercrime. That is why it is extremely important to know about these cyber scams, tips on how to prevent them, and the many resources at your disposal.